Why do I feel more isolated as a woman who has worked in a male dominated field than I ever have before? Have I become an Honorary Man? Have I internalized the masculine culture around me and adapted to it? Why do I not share the same opinion on certain things as some very impressive women, ladies who helped paved the way for people like me? Why do I sometimes find it hard to embrace efforts specifically intended to recruit or mentor women, and even bristle at them on occasion? I disagree with some of what is being pushed in support of women. Why do I feel like I am not allowed to voice that opinion? Why do I feel as if I am being disloyal to the cause, to my gender, by doing so? These are all questions that I mull over as of late when I stumble across something that relates to this topic, and I often find myself treading lightly when commenting, or engaging in discussion on public forum as a result. That is not my normal approach. While I run the risk of going too far out on a limb and voicing a perspective that may seem disloyal to my gender, or to the promotion of women in the work place and closing the gender gap, as a staunch supporter of diversity of thought and ideas, I feel an obligation to speak up. The impetus for this article stems from an email I received from a male peer of mine prior to Christmas. He had just finished reading Sandra Perron’s book, Out Standing in the Field: A Memoire by Canada’s First Female Infantry Officer, and I think he was somewhat appalled. He wanted to know if he, or the others, had ever subjected me to unnecessary and inappropriate behaviour. Had they made my life miserable? I assured him that they hadn’t. 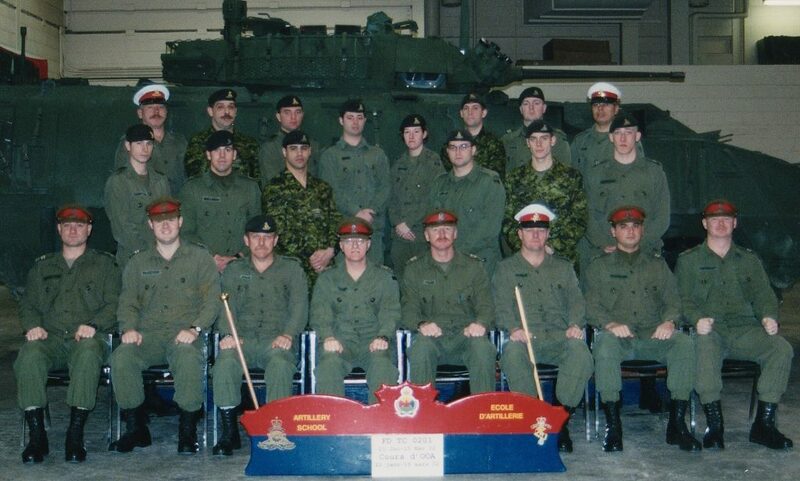 In fact, I felt that the group of men I went through my training with had my back, and that the Royal Canadian Artillery School was blessed to have a professional group of Instructors in Gunnery. I admitted to him that I was hesitant to read the book because I was leery of what my reaction would be; that what I would read in it would make me angry. I believe he naturally assumed that my anger would be as a result of hearing the tales of the unprofessional behaviour of Perron’s peers, superiors or subordinates. Truthfully, that was not the only aspect that made me leery. I did not want to not like the book and so by not reading it, I could remain opinion-less. I wanted to be able to show support to Perron. I don’t know her, but even so, I have respect for her simply for being “the first” against what I suspected would have been terrible opposition. That sentiment, of not wanting to read the book, ties into why I feel more and more isolated. I dislike the expectation that women must band together, and support each other regardless. I feel inundated with messaging about women mentorship. Everyone can benefit from mentorship, but it need not always come from someone of the same gender. When I showed up at my first operational posting, I did not want the mentorship of the one female officer who had gone before me. She is a lovely person and possesses many traits that make an officer great, but she was not a good artillery officer from a technical or tactical standpoint. Why should I gravitate to her, or hoist aboard her advice? Was hers the example I wanted to follow? And as for who I choose to mentor, that has less to do with gender than it does with who I have formed a connection with for any variety of reasons. It is most likely because he/she is, or has been in the past, my direct report. It seems completely backwards to everything I have been taught to seek out a mentee on the basis of gender alone. I fail to see how the fact that I am a female should somehow mean that I require or deserve more support or mentorship than my peers. Does that not imply that I was somehow inferior or weaker or disadvantaged? I never felt that way. I respect those who are competent and gravitate towards whom I wish to emulate. I don’t see how their gender needs to play into that, and nor would I ever have wanted my gender to have been a factor in their mentorship of me. Women need mentorship. Women are not being treated equal. Women still have bias to contend with in the workplace. That is the narrative, and that narrative has implications, of which not all are positive. Women are being told that we must band together to combat this, and demand equality. I thought I was equal all along, and that is why I bristle at this kind of messaging. Coming back to Perron’s book, I did read it, and I have even more respect now for what she accomplished. I cannot believe we were even in the same army when I read about her story; it is appalling how she was treated, and differs substantially from my experiences only 6 years later in Gagetown. But…and because I read the book, I now have a “but” to offer…I could not shake the feeling as I read her book that her example was not one I would like to follow in every respect. I could draw on similar experiences or feelings in certain realms, but I could not help but think that I would not have bonded with her had my career overlapped with hers. I got the sense from reading her book that she was trying too hard to be like the men, or trying too hard to be strong, or was far too career oriented for me to be able to relate to her. I got the sense that her authentic self never surfaced much while she was in uniform. Impressive though she is, as much respect as she definitely earned, I remain hesitant to embrace her fully as a role model. I don’t like feeling that way, but equally, I do not like being pressured to gravitate towards someone just because of gender. My fundamental position is that women are human beings, with the full range of saintly and demonic behaviours this entails, including criminal ones…. Nor do I believe that women are children, incapable of agency or of making moral decisions. If they were, we’re back to the 19th century, and women should not own property, have credit cards, have access to higher education, control their own reproduction or vote. The context for her article was slightly off of what I speak to here, but it speaks to me on a very visceral level. Women are not children. We are not incapable or inferior. We can make decisions. We are not idiots. We are human beings. I am all for diversity. I would not begrudge anyone from doing any job. We need examples to follow, but if that example is a female example, then that is bonus, but not a necessity. Comport yourself as if you are an equal, rather than subscribe to all the ways in which we are unequal or less than. I recall a post on my news feed where the man asked what he could do to entice more women into his company, or field. I will be perfectly honest in that my immediate response that ran through my head was, “What a ridiculous question, how about you just ensure a good workplace.” Is what women want in the workplace that drastically different than what men want? Men and women may value things differently, but if it benefits one gender, is it not likely to also benefit the other? 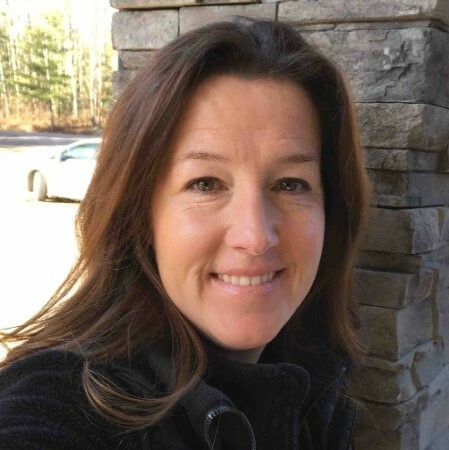 Could that same question be asked without the gender reference and generate the same answers – as a perspective employee, what are some things that entice you to choose one company over another? What causes someone to seek employment in a particular field or with a particular company, or conversely, to avoid a particular field? Is it because of the percentage of your gender that is or isn’t employed there? Is that the overriding factor? I think the nature of the work, compensation package, and location are three considerations that may all override the gender factor. The drive to have equal representation is admirable, and a diverse workforce is desirable, but to entice anyone, there almost has to be some appetite for the nature of the work. I have no appetite or aptitude for computer engineering and no amount of marketing geared towards women is likely to change my mind on that. And if working on oil rigs was my passion, seeing only men depicted in their recruitment ads would not deter me. Am I truly alone in believing that if a woman is drawn to a type of work or challenge, they are capable of making that choice and do not need to be pandered to? There was a recent poster representing Canadian Armed Forces couples for Valentine’s Day and it did not represent diversity in the least. This upset some people. I found that I really did not care either way. I noticed it, but I did not take offense. To the contrary, I am starting to tune-out and roll my eyes when I see advertisements that dis-proportionally represent diversity, relative to the actual representation within that organization. To quote a friend, I find something disingenuous about it. It feels contrived. I find it is having the opposite of its intended effect on me. I have been featured in recruiting ads. I have given interviews and participated in speaking engagements and recruiting events. Now, I want to distance myself from any sort of movement or advocacy for improved gender representation. What does that say about me? Is that a sign of success or a sign of failure? Am I part of the problem? Interesting article, Ma’am. Thanks for the reflection! ‘The West’ got it right in it’s founding focus on the rights of the individual versus tribalism. We in the west, in no uncertain terms, should get this! Read/watch some of Dr. Jordan Peterson’s,(Toronto University) work on the subject. As an interesting note, I recall being asked midway my graduating year 1978 (RETP) to stay after a military psychology class, for a couple of minutes. We discussed the paper just handed back, (for which I had been received an A), also was asked about my family background, if I didn’t mind. I didn’t. 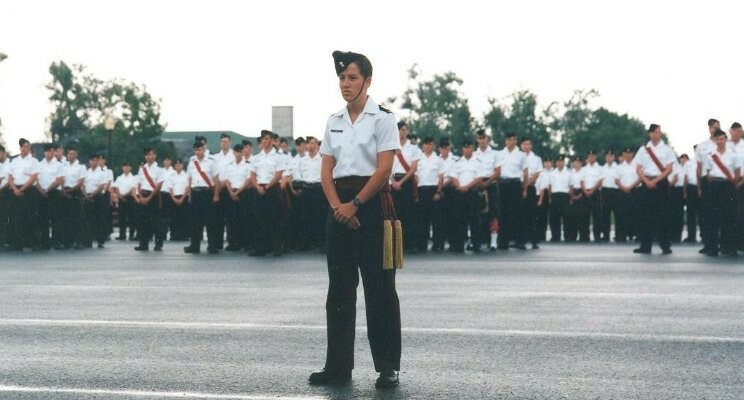 Then was surprisingly asked, what I thought of women as attending cadets at the College? Our good Captain seemed genuinely surprised at my answer, thanking me, as I left the class. (had replaced the engineer killed on the Ranger disaster) on the oil rigs, when I was even more surprised to learn of the first intake of women cadets. Wow, too bad I missed it, was my thought. By the way, I did get a defaulters parade for being late to the next class. Also attended the RMC Rugby game at Brock recently,(a hearty game) to have an updating of the RETP cadet status at the after action get together. Was surprised at this RETP current status. Originally all cadets were essentially ‘RETP’ with specific invitations to join the few postings in the Canadian or British forces. Agree. Sic itur ad astra. Well Jen …you certainly activated some brain cells in my mind. Great comments and bang on. Let’s stop talking about gender equality and inflaming the issues. Who are you and what are you are the only elements of importance. The intelligent people around you don’t give a crap that you are a female. You are judged by those that count by the quality of your character. The military, for which I love dearly, has fallen short over the years on issues of gender and sexuality. I believe change will always be slow but there is change. We must be patient to endure the transitions and departures from the “norm” as our society becomes more cognisant of reality. I hope that the brave women of our forces continue to devote their energy and spirt to the job at hand and to hell with the rest.